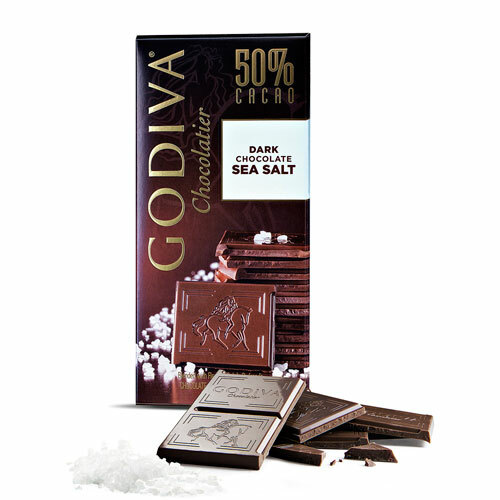 Allow yourself to be surprised by the intriguing combination of silky Godiva dark chocolate with a pinch or two of pure sea salt. 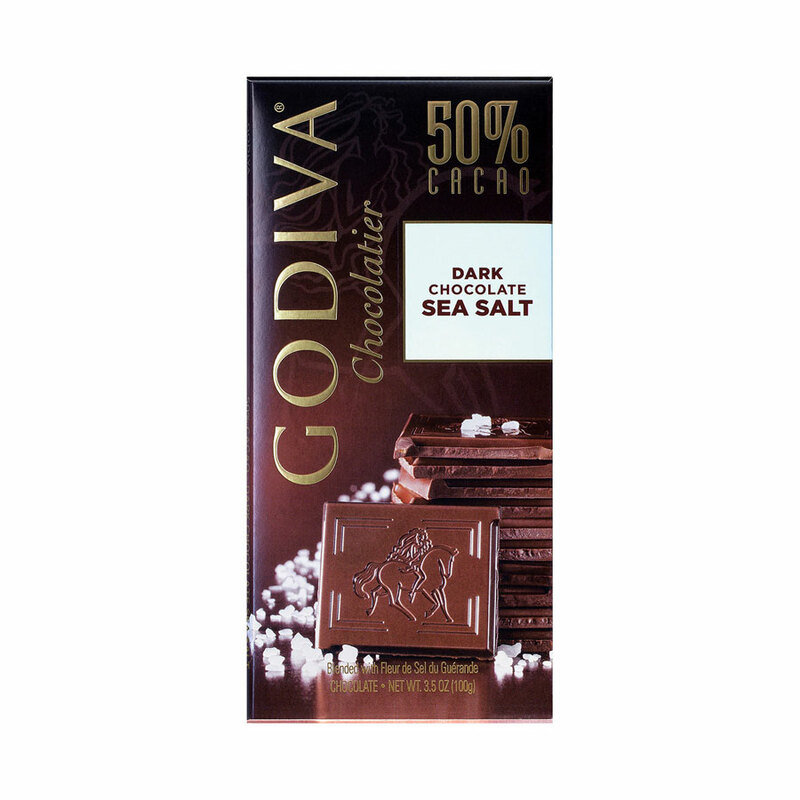 The 50% cacao dark chocolate has just the right balance of sweetness to be offset perfectly by the savoury sea salt, creating a delightful depth of flavour that simply has to be tasted. 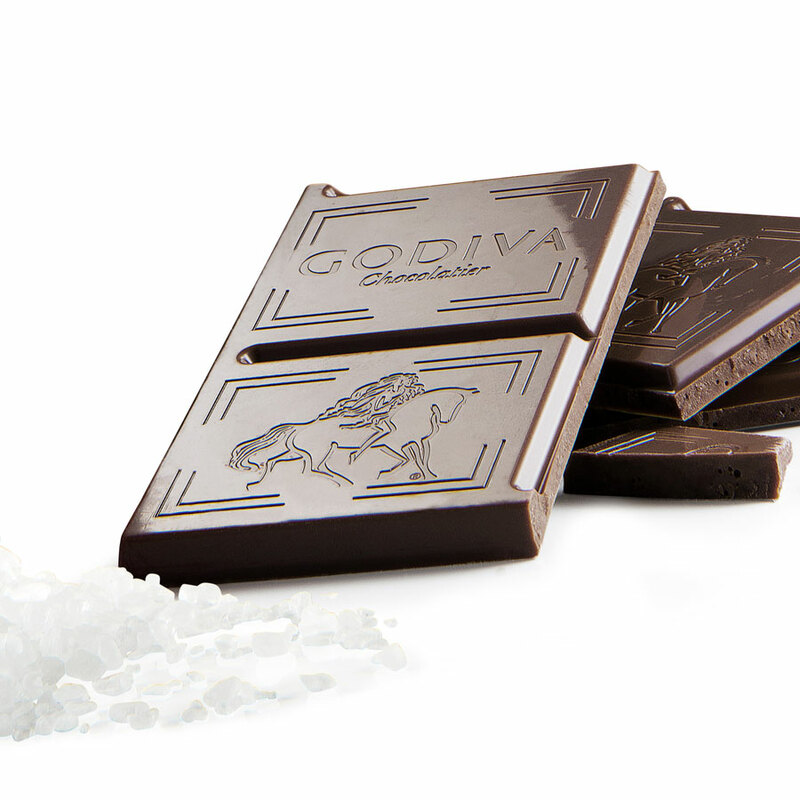 A daring and decadent grown-up treat in a share-sized tablet. Ingredients:sugar, cocoa mass, cocoa butter, butter oil (milk) salt (0.67%), natural vanilla flavouring, emulsifier (soy lecithin). Allergy Advice:May contain nuts, peanuts and wheat (gluten).